Mike Kilian is the senior director of business development at Mvix, a leading provider of content rich digital signage solutions. Headquartered in Sterling, Virginia Mike manages the Mvix sales team and project management team. He oversees the entire project life-cycle, from capture to execution for all client facing solutions, services and deliverables. 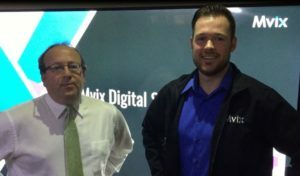 His leadership and initiatives have fostered Mvix’s growth to a top-tier player in the complex and dynamic digital signage space. Prior to Mvix Mike spent two years as an AV technology consultant, he’s a proud Virginia Tech alumnus and is recognized by the digital signage experts group as a certified digital signage network expert. Fred Diamond: I’m thrilled to be talking to you. A lot of the people who listen to the Sales Game Changers podcast are in the early stages of their sales career so I’m very excited to get some of your insights into how they can take their careers to the next level which is really what the Sales Game Changers podcast is all about. So Mike, let’s get started. Let’s talk about your career and your journey today. First of all, tell us what you sell specifically and tell us what excites you about that. Mike Kilian: Mvix’s had its heart and core as a software company. In fact our solution empowers different industries. We work in a lot of communication based projects where the goal is to keep various audiences informed or up to date. That can be in a retail capacity for advertising, it can be in a factory capacity manufacturing for data statistics, we do a lot of work with schools for emergency alerts and upcoming schedules and events. One of the most exciting aspects of this technology for me is the raw scale or the amount of applications and use cases that it fits to, and on a daily basis I get to work with so many industries, so many types of clients. That really keeps it interesting and it’s a large part of why I’ve been committed to this industry for so long. Fred Diamond: We’re actually doing today’s podcast interview from the Mvix office in Sterling, Virginia, a couple of miles behind Dulles Airport. We’re in a really nice facility here with a whole bunch of your digital signs surrounding us and they’re quite dynamic. Mike Kilian: These are cutting edge visual communication tools. One of the catalysts for this industry initially was the commoditization of displays, if you will, making it affordable for businesses, for schools, for retail to adopt this type of technology. But that’s a long time behind us now. We’re focused on how do we automate, how do we integrate, how do we make this type of communications endeavor easier for customers and how do we tie into the systems that they have in place from other great providers, CRM’s, ERP’s, point of sales systems. And these types of integrations are what lead to the dynamic nature of what you’re seeing around you and what you see in the field and also ultimately its success for the customers that we serve. Fred Diamond: How did you first get into sales? Tell us about the events that led you to moving into sales specifically. Mike Kilian: Well, Fred, like a lot of millennials in the last decade or so I came out of college and we were still in the recession. At that point in time it was a pretty easy thought process. You had to obviously pay the bills, you had to get a job that was in some way related to your field of study and ideally led to a skill set for the future. Without any shame, I rolled up my sleeves, got into retail which is a great industry, learned a lot there from face to face interactions with customers, day to day management of sales pipeline, of other sales staff even in a retail capacity and that was kind of the foundation for my sales endeavors. Now, in today’s environment here at Mvix we do a lot of virtual sales. As a software company we’re big on the webinar, we’re big on virtual conference calls, Skype sessions and things like that so the nature of the skill set and how we work with our clients has changed a lot from me from my initial start in my face to face days. The processes have always stuck with me. 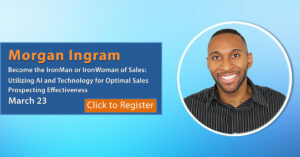 I maintain that successful sales is about successful processes and I think that’s really the building block for anyone that’s looking to get into sales or looking to take their career to the next step in sales. Fred Diamond: Let’s talk about your evolution in sales. What were some of the key lessons that you learned when you first made that move and some of the lessons that you’ve kept with you till today? Mike Kilian: Well, Fred, I think the first thing and perhaps the most difficult thing for new sales folks to understand is that opportunities don’t close themselves. When you’re working with a customer it is 100% on you for you to make it happen. You can have a market which has demand through the roof, you can have a market where pricing is the ultimate driver for purchasing decision, or any other commoditized market where there is a real need. But you still have to be the one to initiate that discussion, you have to be the one to ask the tough questions and to look your customers in the face and say, “Look, I don’t want to waste your time. I don’t want to waste mine. How can we work together to meet your goals and what type of timeline can we put that on?” And I would say that’s the most important aspect on it. I’m big on process, Fred, as I mentioned a minute ago and from my perspective I think there’s a lot of process in sales and specifically inside sales that are applicable to different industries whether you’re looking at telecom, whether you’re looking at software solutions like us or perhaps a tangible product or commodity that’s not IT related. There are many processes that sales folks can adopt, they can naturalize, they can scale. For folks that are sales leaders right now or folks that are looking to become sales leaders I think this view of a process approach is going to lead to stability in your sales team, it’s going to lead to successful forecasting, it’s going to lead to adoption of teamwork, adoption of team metrics. We’ll put an asterisk on that, Fred. There is a point where process can become shackling instead of enabling, right? So we want to be careful as sales leaders not to inhibit our team, not to hinder them in any way or to put on intentional hurdles in front of them but with that being said, as an individual rep and as a team manager you want to be able to scale certain go to market approaches and give all of your customers a stellar experience that exceeds what they’re looking for. Fred Diamond: Mike, tell us a little bit about you specifically. We mentioned during the introduction that you’re recognized by the digital signage experts group as a certified digital signage network expert. Tell us a little more about your specific area of brilliance. Mike Kilian: You mentioned the term audio video integrator earlier and that’s really where I started my career and that’s how I view myself at the end of the day as truly that integrator role. There’s a lot of customers and a lot of industries that we serve where we’re looking at tying together multiple systems and those could be hardware base systems, they could be software base systems, a combination of the two. As a customer usually you have a clear vision of where you want to be. That could be the type of car you want to drive off the lot with, the type of house that you want to move into, in this case the type of communication technology that you want to implement but how do we get from A to B as a customer? How do we take our vision, how do we marry what we know or don’t know about this technology, the systems we may have in place now, the systems we may have in place in the future and stitch all those together to get to the end of the road. And that’s where I find the most interest in this type of industry. There’s a concept in our environment here called the channel and what that is is whole teams of audio video integrators, manage service providers working together to make projects happen for customers and I think that’s been a huge driver for us in our work with the channel, how we approach digital signage as an integration. And I think that concept of integration happens in pretty much every industry and it happens especially in industries where technology is either the cornerstone or the backbone of the industry or ultimately some part of the deliverables. Fred Diamond: In your relatively short career it sounds like you’ve gathered some great insights. Have you had any mentors? Has there been anybody specifically who has helped you along the way to build all this knowledge and would you mind telling us about them and your relationship? Mike Kilian: When it comes to the mentorship discussion I’ve been privileged to have several folks that have been influential along my growth and development so far and have helped me solve problems, have helped me view problems differently. I’m of the belief that the best career advice, the best career development actually comes from colleagues, a group of compatriots where you can act as a think tank if you will or a knowledge chair. Especially when those colleagues are across different industries. Two of my most trusted go-to advisers in this realm are colleagues of mine, both in the IT space. One of them is Ben Davidson, he’s been a huge help to me. His experience with telecom and recurring revenue structures and business development is truly unparalleled for our age bracket. Another colleague of mine has been Mike Yule, he’s in the IT security space and federal IT market for that matter, so when I look at kind of a micro team if you will which spans different industries and different skill sets, that’s been invaluable to me. I’d like to think that I’ve also contributed to that team along the way and for any folks that are newer in their career perhaps looking to switch industries or get into a new type of technology or a new career, I would say find a similar group. Find folks that represent different skill sets, different backgrounds, different business models, put your heads together when there’s a common problem that you can work together and solve and at the end of the day everyone’s going to win from that knowledge share and ultimately the customer will too, which is what we’re here for. Fred Diamond: Mike, tell us a little more about that team. Tell us how often you meet, how did you meet these guys, have you known them since high-school? Tell us about your communication within the group. Fred Diamond: Mike, what are two of the biggest challenges you face today as a sales leader? Mike Kilian: Let me give you a common challenge as I see as pertaining to individual reps and then I can also speak to how that scales across a team. I think for individual reps the biggest challenge in sales itself is the fact that sales by nature inherently is uncertain. When we look at the upcoming career supply here that’s going to be coming into the market shortly for new hires out of college I think one of the biggest trends I see in the current generation is this trepidation to go into an industry or a skill set where you can do everything correct, you can put in 60 hours in a week, you can have learned your skill set, you can go to formal training and at the end of the day your success or your potential failure may not be entirely in your hands. But I think that’s the illusion of it. A well-learned skill set, a well-developed sales person takes that onus on them. They take the responsibility to guide that customer through the customer journey to make that experience one that that customer never forgets and ultimately goes with them because of that relationship, not simply because of the brand or the product itself. When we take a look at a team, Fred, I think stacking up the reps as a group and taking a look at their forecast and their pipeline is the biggest initial challenge for any sales leader. And if you’ve ever made a move to a different industry, if you’ve ever made a move from outside sales to inside or in bound to an out bound based approach, there’s different ways to forecast in sales, there’s different ways to do pipeline building activities and taking a group of people from different sales background, some more experienced, some less experienced and getting to where you can consistently and accurately forecast what that team is going to produce and then account for any blips that are coming up down the road. I think that’s a huge challenge for a sales leader and it always has been and I think it always will be. Fred Diamond: Those are some really interesting answers. I’m really kind of curious, Mike. To be frank with all the people listening on today’s call, you are one of the younger Sales Game Changers that we’ve interviewed. How have you built this knowledge so quickly? How have you specifically gotten to the stage of your career where you have such a deep understanding of the process? Mike Kilian: First of all I appreciate the compliment there. I’m big on learning and I think that one way to look at any sales role is – especially in a competitive world market like we have in digital signage – there is always a competitor that’s still working. It could be 2 in the morning, it could be 6pm when you’re headed to happy hour. There’s always a competitor that’s working and that competitor is learning something and if you’re not, your progress is stagnant and to me stagnant progress is the same as no progress. So my perspective, my view has been to try and learn as much as possible whether that’s in the office, whether that’s through personal networks, out in the field, at trade shows and I think if you adopt that mentality that really it’s a 24 hour clock and there’s a lot of learning opportunities in those 24 hours I think you’re setting yourself up for short term and long term success. Fred Diamond: Mike, take us back to a specific sale success or win from your career that you’re most proud of. Take us back to that moment. Mike Kilian: I’ve been with Mvix for 5 years now and when I first started here we were still evolving our technical support processes for our customers. We did a lot of due diligence in the industry on what were our competitors offering from a technical support perspective, what was not there, where there any gaps in SLA’s or in processes that we could potentially fill for customers. Initially one of my first solutions here was a structure we used to call premium support, and that premium support service was it was almost there, Fred. It was 80, 90 percent to where it needed to be and at the time I thought it was a game changer. I thought it was the best thing to hit the digital signage market and clearly a competitive advantage. That move outside of a red sea if you will to something a little more less choppy. And we hit the market with it and essentially it was a flop. Year two came back and a lot of our customers looked at us and said, “You know, there was some value in the on boarding process here but as we look towards ongoing opex budgets and we look towards this type of roll out and how mission critical it is to us we just don’t really see a justification for this cost.” And as both a sales person and a team leader, that was a defining moment for me because there’s a lot of folks I think that would have gotten frustrated with how much time and research and effort was put into understanding that part of the market and that process. That could be a step back, that could be viewed as a precipice, let’s abandon this, let’s find a different rap. But what we did, Fred, was stick it out. We took a look at how can we get from what we thought was 100% to what is actually 70, 80, 85 percent and how can we tweak that and how can we make it scalable and mass marketable. Something that truly is a value add for our customers and truly is a differentiator for us in the market. And that discussion was the birth of our signature care solution which has been truly a game changer for us, for our clients and for, I would say, the industry. That’s one of my proudest moments here at Mvix, of our team and how we’ve worked together as well as one of the services that we offer that I’m most proud of as well. Fred Diamond: Mike, your career is off to a great start. Did you ever question being in sales? Was there ever a moment, Mike Kilian, where you thought to yourself, “It’s too hard, it’s just not for me.”? Mike Kilian: [Laughs] Great question, Fred. This is always a popular topic in any type of sales forum. I think as sales people we’d be lying to ourselves if we didn’t accept that every day potentially we face this decision. We all have those giant blue whale customers that say no at the last part of the purchasing process. We all have those customers that are eager to vent and take it out on us whether that’s in retail, whether that’s in an inside sales capacity and I could probably cite a dozen other examples on a daily basis that most sales reps go through. The question I think isn’t “Is it too hard?” Fred. I think it’s, “Am I still in a place where I’m adding value to the organization, I’m adding value to my career?” I think as reps that are potentially coming out of school, reps that are in the first few years of their career, even season reps that are in the middle or the latter part of their career, I think the question is it’s accepted in this field that you’re going to face challenges on a daily, weekly, monthly, quarterly basis, right? That’s fine, but let’s move beyond that. The question is, “Is the work that you’re doing, is the time that you’re spending in the office away from your family, away from your hobbies, is that time that is adding a real value to the technology or the product or the service that you’re promoting, is it adding value to your customers? Is it adding value to your organization and to your career?” And if the answer to that, if the answer to any of those bullet points is yes then I think you’re in a good spot and I think it’s time to keep pushing. Fred Diamond: You know, the word value continues to come up time and time again on the Sales Game Changers podcast. There’s so much competition, the customers in charge, the customer can find information in almost anything that they want to without the assistance of the sales professional. So how are you continuing to add value to the process? How are you continuing to bring value to your customers? It ties back to something that you said in the very beginning of this. Mike, what is the most important thing you want to get across to junior selling professionals to help them improve their career? Mike Kilian: Fred, the most important thing I could say to anyone starting out their sales career or in that fledgling first few years where you’re really learning what it’s all about is hang in there. And sales is a commitment game, sales is a rough and tumble game. It is essentially the frontlines of the business world. You are going to have days where you look at yourself and say, “How can I keep doing this?” You are going to have days where you are the king of your own world and your customer’s world and anywhere in between. When you’re starting out in sales or when you’re in those first few years of your career in sales don’t let the doubt cloud you. The pipeline building exercise, if your first few months or your first few quarters in a new organization or a new industry is the hardest part of sales. Getting your customer base up and running, getting that pipeline going. There’s going to be days where you think it’s an insurmountable obstacle but I promise you it’s not. If you’re working for an organization that’s been around for a while it means that that product or service is sellable, you need to learn how to do it. If you’re working for an organization that is a startup, this could be potentially the best learning experience for you of your life. You can learn how that market approaches this type of solution, you can learn what works, what doesn’t, you can even learn about other businesses, how do their purchasing processes work. What is a value add for different industries in terms of service and in terms of the selling process. So there are so many doors to be open, Fred, for sales professionals as they grow their career and I can’t emphasize enough to stick it out and hang in there, you will turn a corner, you will get to the top of that mountain if you keep pushing hard enough. Mike Kilian: I mentioned a minute ago this concept of sales being kind of the frontline in business so to speak and I think there’s a big positive that goes along with a daily grind of any sales role, and that is the fact that you are primed for the rawest, the most relevant and arguably the best market feedback that there is. And you should take advantage of that as a sales person. The best way to stay on top of your game is to understand your market and you have a direct line to that market. When you speak with customers and they’re happy with how you’ve worked with them and the product or service that they purchased from you, ask them why. Ask them what worked and what keeps them coming back year over year, and that same thought train applies to customers that say no. In fact, I actually view that as more valuable than when you get a signed contract. If you have a client that says, “I really liked your product” or “I really liked your brand story” or perhaps “our engagements in this sales-buyer relationship but at the end of the day it just wasn’t the right fit.” That is your best and your only opportunity to understand how you can improve and if you take advantage of those opportunities I think you’re setting yourself up for success. Fred Diamond: Tell us, Mike, a major initiative that you’re working on today to ensure your continued success. Mike Kilian: Our industry and for that matter Mvix as a software company is all about staying relevant. There are so many third party applications that are out there that are accessible to digital signage customers. Social media campaigns, for instance, through the popular outlets that we’re all familiar with. Different types of dynamic data. Different ways to use that data whether that’s generating revenue for you as an organization or whether it’s protecting your audience in the form of emergency alerts and anywhere in between. So my initiative now forward looking is to keep Mvix relevant, is to keep our product set dynamic, it’s to keep adding value to our customers, is to keep us leading industry, thoughts and industry trend patterns like we have in the last couple years and I think if we’re in a position to stay relevant and stay dynamic we’re going to continue to retain our customers and we’re going to be keeping our partners happy as well. Fred Diamond: Mike, sales is hard. People don’t return your calls or your emails. Why have you continued? What is it about sales as a career that excites you and keeps you going? Mike Kilian: Taking a moment to address some of our listeners, Fred, that are on the sales leadership side of things, at this point of my career what really gets me out of bed in the morning and so excited to come into work here at Mvix is the opportunity that I get to help develop some of the junior members here. In the past – and I think most sales leaders probably share this experience – I’ve had some great former managers and leaders. I’ve also had some terrible former managers and leaders and my responsibility here in addition to keeping the wheels turning, so to speak, is to also help set folks up for future career success. And that’s a big cornerstone at the Mvix’s platform here. So every day when I come and I get a chance to work with some of our sale staff, some of our project management staff, some of our marketing staff and yes, we’re of course moving towards company objectives and company goals but taking a moment to understand where they want to be in five years and how our goals as Mvix can help them get there has contributed to our success. It’s contributed to our team’s individual and personal successes and that’s what really gets me excited every day. Fred Diamond: Give us one final thought that you’d like to share with the Sales Game Changers listening to today’s podcast. Mike Kilian: I think the biggest recommendation I can make to any folks that are just starting in sales or perhaps are moving to sales as a new career is in line with our Mvix strategy here which is to stay relevant. I see a lot of folks burn out in sales, I see a lot of folks that get pigeon holed into selling certain types of technologies that they may not want to sell for their career. I see folks getting involved in certain market activities and next thing you know they’re just doing marketing efforts and that’s not maybe where they wanted to be in five years. Now, everyone has to be some degree of subject matter expert, Fred. That’s why we’re resources for our customers, that’s why we’re here and ultimately that keeps the resume afloat. But I would encourage young professionals to not necessarily pigeon hole themselves too early in your career. Get some experience with new technology. 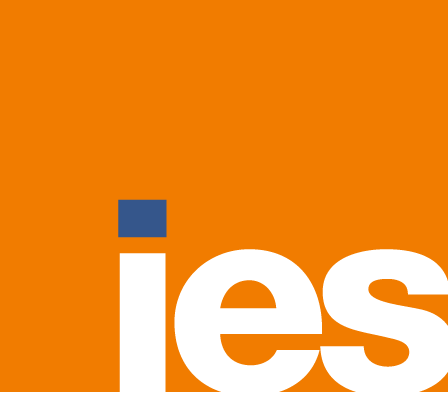 Get some experience working for a large company and a small company, multiple years at each. Get some experience with different teams, different managers, different customers, different markets and then make a ruling on, “Here’s where I think I want to spend the bulk of my earning years and where I want to head.” I’ve seen a lot of folks adopt that mentality and it’s really left doors open for them and that’s my goal for everyone that works here is keep those doors open and let’s keep growing as a team and as individuals.